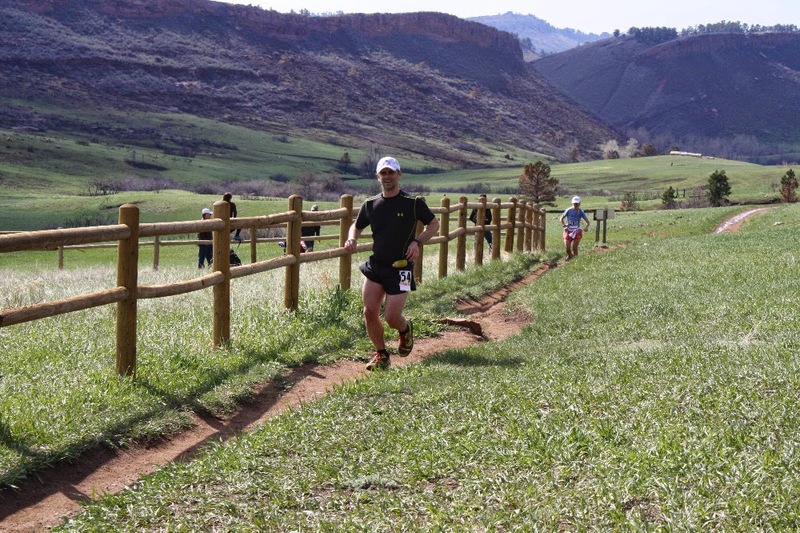 After a good start to the season at the Fruita Trail Marathon in April, I logged my second major race of the year last month at the Quad Rock 50 outside of Fort Collins. 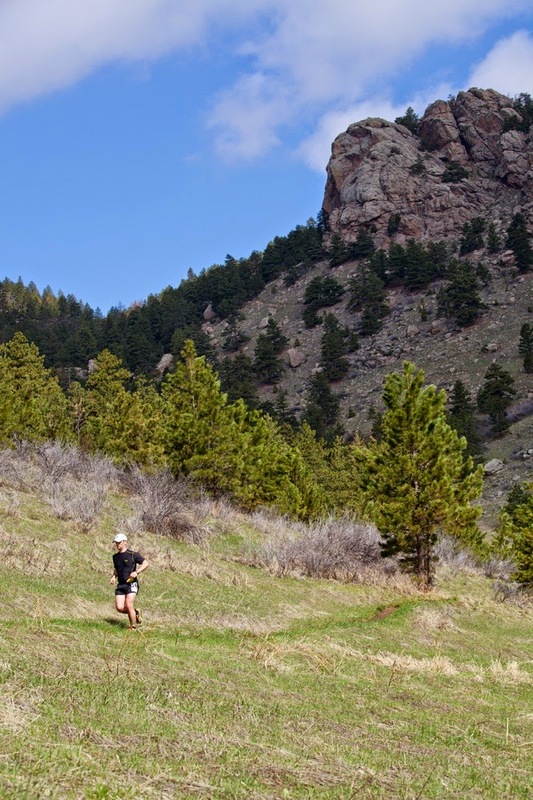 It’s a gorgeous course that takes place on the trails of Lory State Park and Horsetooth Mountain Open Space. 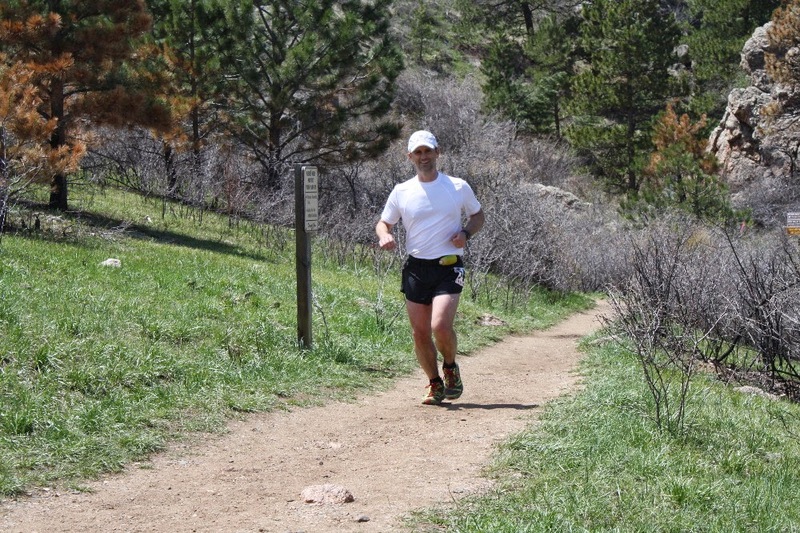 You do two 25+ mile laps—one clockwise, the other counter—basically climbing two peaks (Horsetooth Mountain and Arthur’s Rock) each time, hence the quad (four) rocks. But quad could just as easily refer to the muscles in your legs, which would really be working for it. 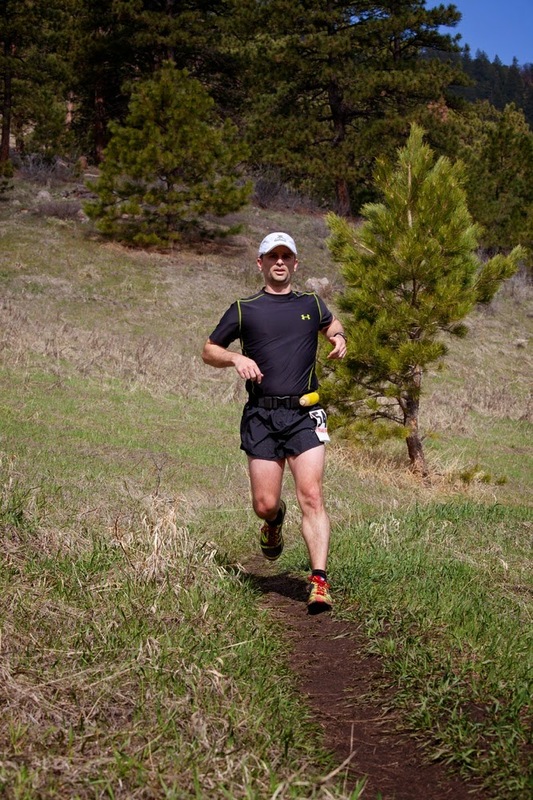 The course covered 51 miles and a very stout 22,000 vertical feet of elevation change. That made the Quad Rock 50 the most climbing and descending I’ve tackled in a race, beating out the Virgil Crest. The race began shortly after dawn, with 172 starters hitting the trails. But to give you a sense for how tough this race was, by the end of the day more than 1 out of every 3 of those starters will have dropped out. I met up with Kelli at the aid station at mile 10 after two hours, basically exactly on schedule with my target pace. I was running strong and my legs were feeling good. Then it was time to tackle the next major climb. I saw her again a while later, waiting at the aid station that immediately preceded the long climb over Arthur’s Rock. I topped off on fluids and nutrition here, because this would be the longest stretch between aid, and I’d need every drop of hydration and calories. I was trying my hardest to stick to a disciplined nutrition plan, and by and large it was working. 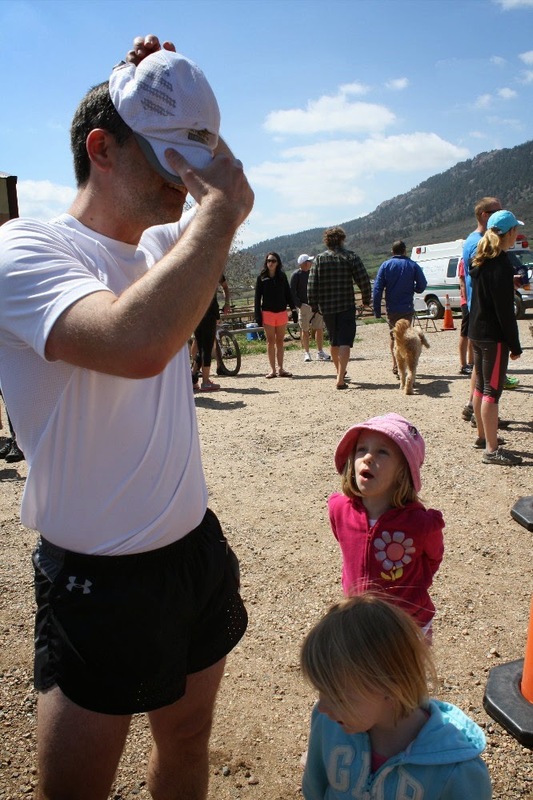 With the exception of the longer Arthur’s Rock section, where I rationed my bottle, I was drinking a 20-ounce bottle of First Endurance EFS between each aid station, and taking a big shot of First Endurance EFS Liquid Shot gel every 30 minutes. Through the aid stations I was eating solid foods—some chocolate, a bit of soda, and mostly bananas, oranges, and watermelon. This strategy worked for the duration of the race. 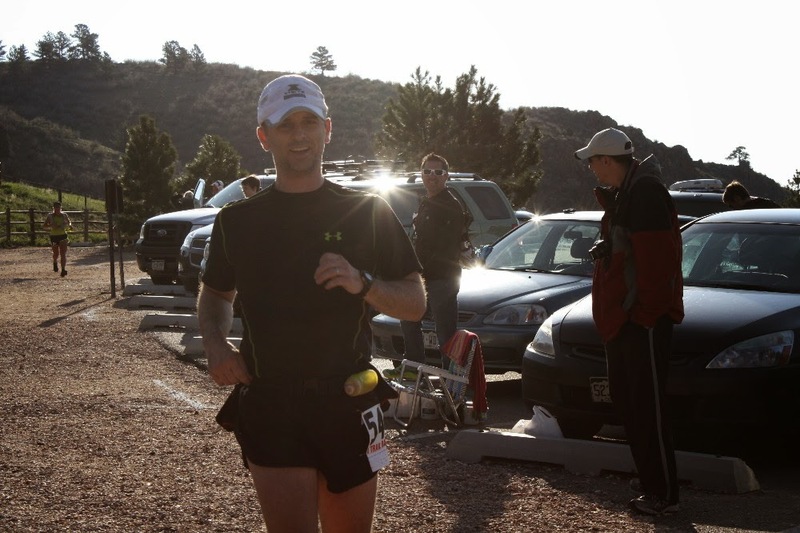 I was able to keep nutrition going in regularly and never reached a point where I felt like I couldn’t eat, which can be a fairly common occurrence during ultras. Once over Arthur’s Rock it was a long descent into the start/finish line and the turnaround point for 50-mile runners. By now my legs weren’t feeling nearly as spry as they were in the early miles. It was becoming clear that this would be a long, tough day. The final miles into the halfway point were in some ways the worst—you were out of the trees and exposed to the hot sun, and you could see the cars parked at the turnaround but never seemed to get any closer, doing switchback after switchback across the mountainside. After what felt like an eternity I finally reached it. Kelli and the girls were there waiting as usual. 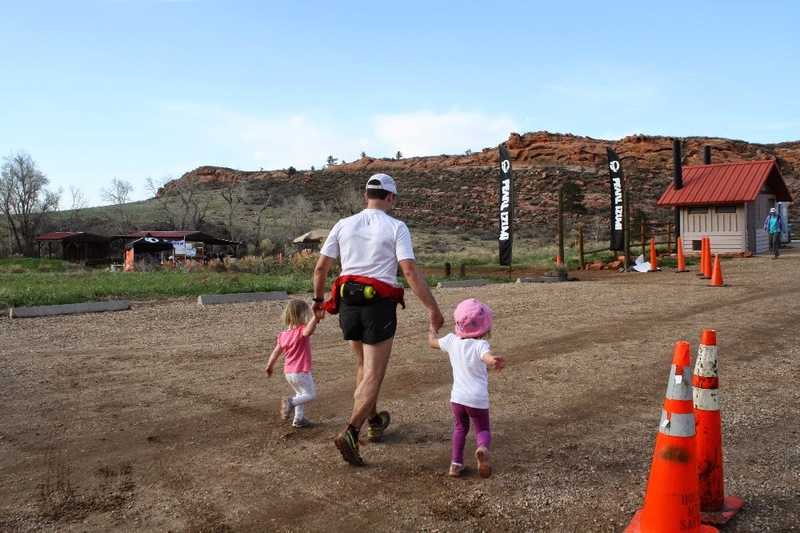 It’s really a huge motivational boost to have them lending support through the aid stations. In an attempt to stay cooler I swapped my black T-shirt for a white one, then it was time to head back up those switchbacks and over Arthur’s Rock. I’d seen the lead 50-mile runners heading back up that climb during my descent, and I was impressed how strong they were running and how fresh they looked. Now heading up that climb as well, I was even more impressed. I knew Colorado in general had a more competitive ultra scene than New York, but times like this really drove the point home. Whenever you (ahem, I) feel like hot stuff because you run mountain ultramarathons, along comes a race course like this and racers like those to put you back into your appropriately humble place in the world! I saw Kelli and the girls again at the base of Arthur’s Rock and let her know exactly how I was feeling, which wasn’t hot. In pretty much every 50-miler I’ve done, I hit a low point somewhere between miles 25 and 35, after which I find a second wind to finish strong. I was now approaching that low point and feeling fairly lousy. Cardiovascularly and gastrointestinally I felt pretty much great, but my legs were feeling increasingly hammered by the climbs and descents. Though I had intended to reserve it for my recovery after the race, I asked Kelli to run to the car and get my First Endurance Ultragen. Right there on the spot, in more or less a single massive chug, I sucked down the entire 20-ounce bottle, with all the hydration and calories that it offered. Then it was time to gut out the next climb. The next climb, from that aid station to a remote aid station at the top of a section called Towers, was more or less a glorified power hike. I hadn’t yet found my second wind, my legs were hurting, and I was focused on simply making steady forward (and upward) progress. Two brief rain showers had passed earlier in the day, but mostly the race was sunny with temps in the 60s. But literally just as I strolled into the Towers aid station, a pretty major thunderstorm blew in. Thunder crashed in the mountains around us. A cold wind picked up, whipping the rain sideways. Hail the size of marbles started coming down. I hunkered down with about 5 other racers under a tent canopy at the aid station. We weren’t about to step into that maelstrom. The amazing aid station volunteers even ran out in the rain and hail to their 4WD trucks to grab jackets and sweatshirts to put around us. Most of us were wearing nothing more than shorts and T-shirts, the temperature had dropped significantly, and the wind and rain weren’t keeping anybody warm. After more than 20 minutes the weather relented, and I decided it was time to once again hit the trails. By then my legs had gotten stiff, and it took a mile or two to shake out the cobwebs and warm up my muscles again. I saw Kelli again around mile 40, and though the race was quickly becoming a matter of psychological determination and mind over matter, I now knew that I would finish, even if it took me a while to cover those last 11 miles. There was one final major climb, which actually passed with relative ease. The tough part was the last major descent from the top of that climb. True to the race’s name, my quads were rocked. I could jog the flats, power hike the uphills, but the steep downhills were too much and too painful to run. I was reduced to walking down that last descent. Blech. But then I hit the valley floor, and life was glorious. I was still miles out from the finish line, but the terrain was gorgeous. A wildfire had ripped through this area earlier in the year, and now a moist spring had brought the grasses back in the most vibrant greens I’ve seen in Colorado. A singletrack of reddish brown dirt snaked its way through this landscape and I was able to soak up the picture-perfect trail running. The last stretch of the race finished on a dirt road, and as I turned the final corner, the girls were there waiting as enthusiastically as ever. 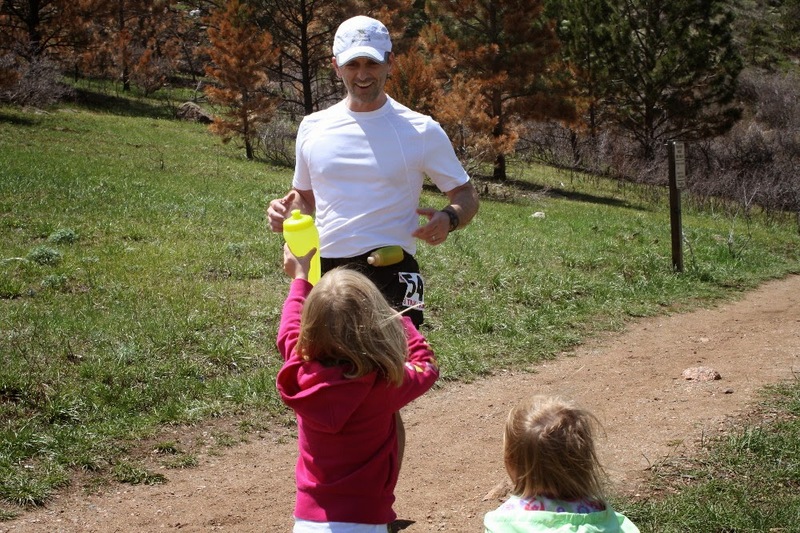 They jumped up and down, yelling at the top of their lungs, “Go, Daddy, Go!” I’m convinced that’s the best boost a runner can get—better than the best sports drink or shot of energy gel. They’d been out there cheering for me literally all day. 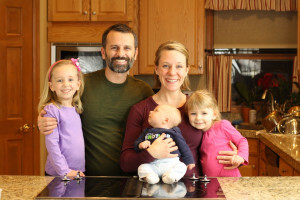 Now I took them by the hand and they came across the finish line with me—12 hours and 42 minutes later. My official finish time was 12:42:25, 87th out of 111 finishers and 172 starters. It wasn’t the finish I was planning to have, but it was a satisfying, hard-won finish none the less. Sometimes the biggest victories aren’t the ones that come according to plan, but the ones you fight for when adversity sets in. 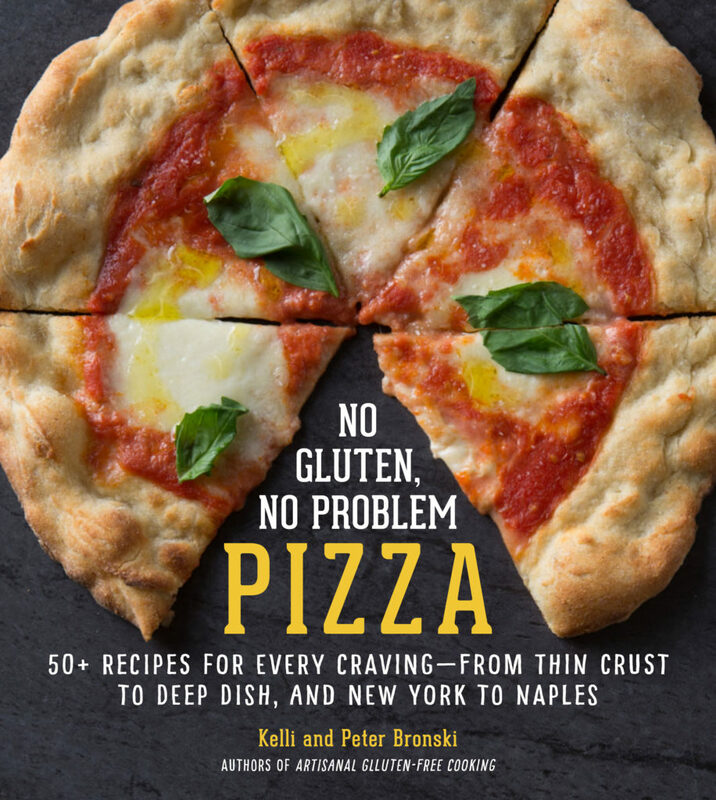 All photos by Kelli, except 1 and 4, by Erin Bibeau Photography, used with permission.